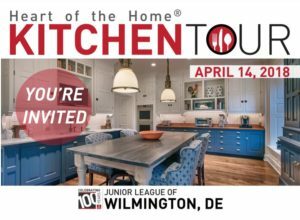 The Heart of the Home® Kitchen Tour showcases some of the areas finest kitchens! Take this self-guided tour and be inspired by fabulous kitchen renovations while enjoying food samples from your favorite local restaurants and chefs. Tickets will be mailed mid-March 2018. This is a rain or shine event. For additional information please view the frequently asked questions below (to print a copy click here) or contact jlw@jlwilmington.org. Tickets purchased after April 7 can be picked up through “will call” at any home upon arrival.